My upcoming trip to China with Mandarin Journeys is all I can talk about lately. No matter what I am doing or who I am with, it always ends up coming up as a point of conversation. Yup. That’s pretty much how it’s going down as of late. I can’t stop talking about it. I’m pretty sure my friends just want to ship me away at this point so I can get it out of my system. Because China every China other China word China is China… China. I’ve applied for my visa and am waiting for approval. Have I thought about packing? Absolutely not! All I know is that I want to pack as lightly as possibly which is going to be harder than delivering three babies for me. I am a perpetual over-packer. But I think I have to take it easy with this one because I am going to be the one lugging around my suitcase. I keep reminding myself of that. Bill isn’t coming along! There are so many things I am looking forward to doing with Mandarin Journeys. Their itinerary for this trip looks simply amazing. A tea ceremony is WAY ON TOP FOR ME THOUGH. You know I’m a girl that loves a good cup and I think we are actually going to pick some leaves first. WHAT? For more information about this once in a lifetime experience, visit Mandarin Journey’s website. 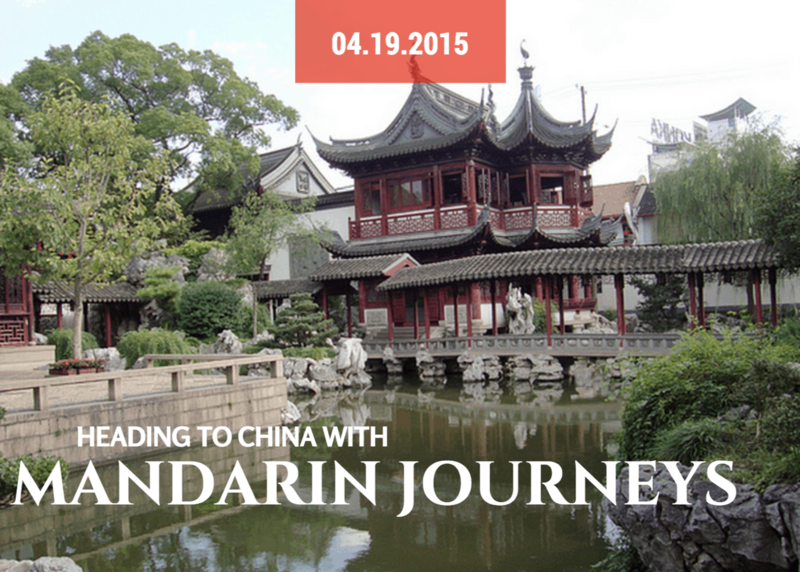 Follow Mandarin Journeys: Coming SOON! I leave April 19th. Let the countdown begin! !